God is reconciling all things in heaven and on earth. We are alienated not only from one another, but also from the land that sustains us. Our ecosystems are increasingly damaged, and human bodies are likewise degraded. Most of us have little understanding of how our energy is derived or our food is produced, and many of our current industrialized practices are both unhealthy for our bodies and unsustainable for the planet. Agriculturalist Fred Bahnson and theologian Norman Wirzba declare that in Christ, God reconciles all bodies into a peaceful, life-promoting relationship with one another. Because human beings are incarnated in material, bodily existence, we are necessarily interdependent with plants and animals, land and sea, heaven and earth. The good news is that redemption is cosmic, with implications for agriculture and ecology, from farm to dinner table. Bahnson and Wirzba describe communities that model cooperative practices of relational life, with local food production, eucharistic eating and delight in God's provision. 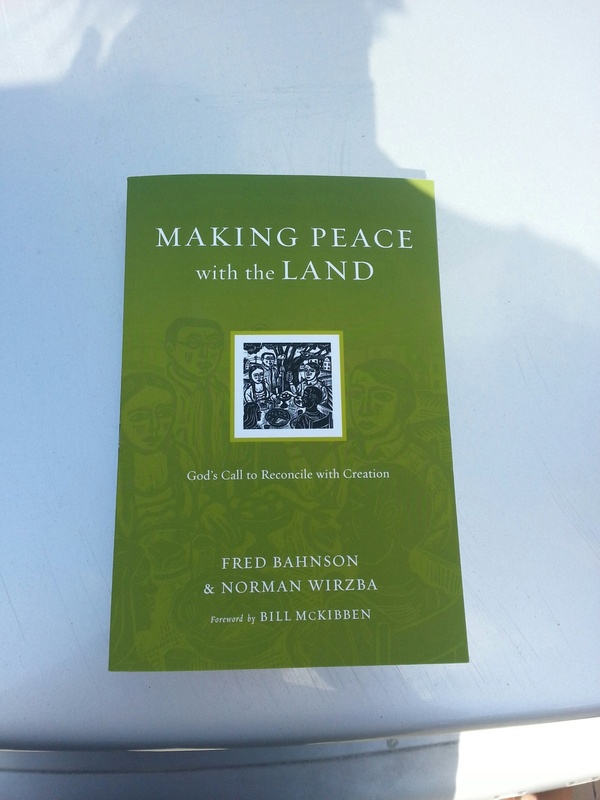 Reconciling with the land is a rich framework for a new way of life. Read this book to start down the path to restoring shalom and experiencing Jesus' kingdom of shared abundance, where neighbors are fed and all receive enough.